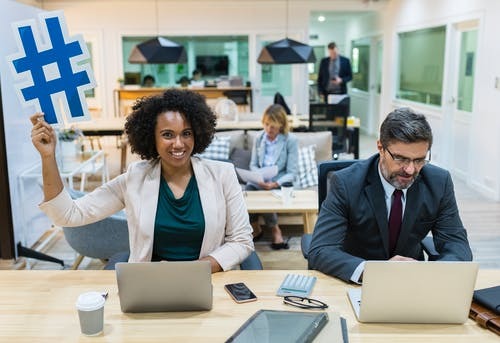 Today, on-an-average, seven out of ten Americans use social media platforms to connect with others, engage with newsworthy content, share the information and get entertained. 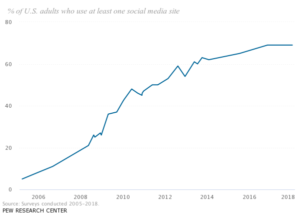 According to the Pew Research Center study, back in 2005, it was just 5% of American adults who were using at least one of the social media channel, but today, about 69% of American public uses some sort of social media. 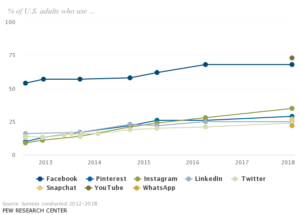 And as we all know, Facebook is the most-broadly used of the major social media platforms, followed by Instagram, Twitter, LinkedIn, Snapchat and Whatsapp. Abdul Muhammad from RBB Communications once said – It is the power of social media which provides targeting efficiency, as well as to reach and scale, at a remarkable lower cost than any other marketing medium. People are there all day, every day on social media; brands must go out where their audience is. Acknowledging the saying of Abdul Muhammad and all other Business leaders, I see everyday examples of brands utilizing social media marketing campaigns to reach a lot of people, which is not feasible with the small budget dedicated to the print and offline media. I reached out to Stacey, who runs Stacey K Cleaning, a cleaning firm in Michigan, to know the value of social media for her business – “We mostly use Facebook to spread the news about our upcoming offers and to encourage our customers to leave us a review on Yelp or Facebook”, she responded. “Lots of our past customers who had a positive experience with us on social media recommend our services to their family and friends, helping us grow our customer base even further”. Answer – See, we do allocate resources and budget for marketing on social media, but it shouldn’t necessarily be on every website. We are willing to invest only in those platforms where we’re more likely to reach and engage with our potential buyers. Are you still with me? Great! So, my point is – if you haven’t leveraged social media in past; you missed out the valuable buyers by ignoring the most inexpensive form of marketing. Neil Patel often says that you’re leaving money on the table if you are not doing this and that, the right way. However, in the post ahead, we are going to read the easy and proven methods to make it fun and rewarding using social media for enterprises. Social media isn’t just for food, traveling and puppies pics. It’s the same place where other business have been building great connections and meeting with potential clients. All it requires your little through process behind it partnered with the consistency and you’ll witness a thriving progress in no time! Social media marketing is about quality — not quantity! Take your time when capturing and choosing images to share. Crafting a branded and visual appealing social media presence let you easily catch the eyeballs of the potential customers. I know you use them. They are everywhere on social media websites. But if you want to exponentially raise your engagement rate, you need to use them strategically to serve a specific purpose. Be as relevant as possible — explore hashtags that will help users find your posts. Be vigilant — explore the other posts using the same hashtags and discover some hidden gems. SMM wizards save groups of hashtags on Evernote for different purposes to make it easy to cut and paste on-the-go as needed. For business promotions, choose relevant hashtags and use one for business purposes that is easy to spell and used often. Visual creativity is the key to engagement. You know the power of emotion (in marketing), and images work much better at delivering the actual message across than just the plain text. And on top of that, it makes the process of filtering and skimming through the content faster. But don’t fear – you don’t need to go to Upwork and hire a graphic designer. You can use Canva or Adobe Spark Post apps for adding and rearranging text and make sure, your images come out looking truly imposing. If you use Instagram often, you would like to try on Word Swag, TypiMage, or WordDream. Social media is a great place to share the things you admire, what you like to do, and draft a picture of your personality. Let’s face it – Your business sector/industry may be such one where you can’t close a deal on social media platforms, but your efforts may direct someone to feel the real passion you have for your work and your industry. So, your social presence should reflect your brand culture. 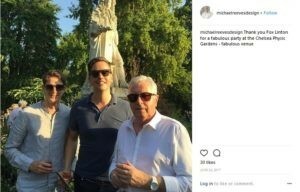 Brands like Michael Reeves Interior do leverage behind-the-scenes social content. It might be connected with your team building process, office work, funny or personal content; but it should be a center stage in your SMM strategy. They say – BTS content helps us humanizing our company and it shows the love for our team members. People want to engage and do business with their friends. Thus, to score a high trust level, we do grasp BTS posts. It’s trending to share other Pages’ or Influencers’ posts but please do not try to download others work and share as your own. As you think of website copies and blog posts, you also need to be permissible to share others’ work. Retweet or Regram are the easy solutions. Follow influencers and interesting people that you come across via Hashtag searches or the ones who comment on your posts. You may not find someone again so hit the follow button if you think someone’s newsfeed and BIO. You should have the place for attracting a crowd of people to your business in your SMM strategy. Why so? Because, loyal fans and loving customers are one of the prerequisites for long-term success. Effective storytelling and responding to comments are such ways. It creates an emotional bond between users and brand. Your focus should be aligned towards addressing and solving problems for your readers. Also, turn on PUSH notifications to your device so you won’t miss anything. Instagram TipIt’s an extra step to share a special photo, but it is worthy enough to email the photos to yourself and share it from your smartphone. 9) Put Videos to Flavor it Up. Marketers assume that videos are more memorable than other marketing content and an easier form of content to interact with. Also, in last year, Facebook started favoring longer videos in users’ news feed to keep people on the site as per the calculation of percent of each video they see. 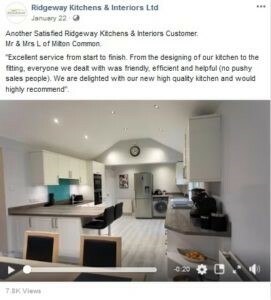 The primarily tactic Ridgeway Kitchens And Interiors uses on Facebook is sharing their installation work through Before-After images and videos. If you’ve ever gone through posting an Instagram snap to Twitter, then you know that the tweet doesn’t include the photo, but it only shows a link. That’s useless, IMHO. Instagram blocks photos from appearing in auto-mode within the tweet. Using services like IFTTT or Zapier, you’ll be able to tweet your Instagram stories using the Twitter API. This is what many savant Instagrammers are doing these days. I hope the post gave you some handy ideas for getting burly on social media. Pause posting random pictures and start thinking of this effort as a way to share your expertise and the real human side. What’s your strategy to get this all done virtuously? I’d love to hear from you in the comment section.